John HAIGH was born on 20 Sep 1836 in Carrhead and was christened on 15 Dec 1836 in Parish Church of Penistone. 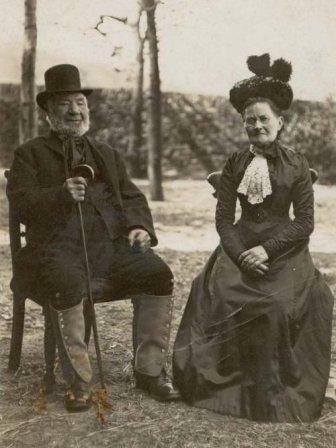 John married Sarah Hannah CROOKES , daughter of Thomas CROOK(E)S and Mary Ann DARWENT (DARWIN), on 16 Apr 1865 in Denby. 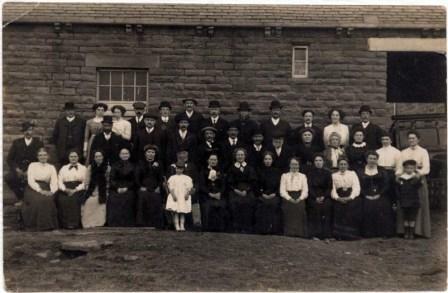 Sarah was born on 20 Nov 1844 in Ingbirchworth and was christened on 4 Sep 1845 in Parish Church of Penistone. 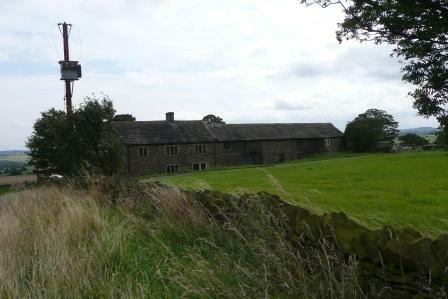 In 1901 John and Sarah were living at Gunthwaite Gate farm with their daughter MaryAnn (Polly). Mary A (Polly) HAIGH was born in 1868 in Ingbirchworth. Elizabeth HAIGH was born in 1870 in Ingbirchworth. Elizabeth married George RICHARDSON. John HAIGH was born in 1875 in Ingbirchworth. Thomas C HAIGH was born in 1877 in Ingbirchworth. Thomas married Polly. John HAIGH who was born 23 May 1798? or 1795/6 in Penistone, Ingbirchworth or Hepworth and was christened 24 Jun 1798? in Penistone. He died on 18 Jan 1873 and was buried in Penistone Church. Frances WOOD who was born in 1798/1801 in Penistone or Thurlstone. She died on 1 Jul 1880 and was buried in Penistone Church. John and Frances married on 23 Jun 1822 in Penistone.